To remove the stock front fender, the wheel will need to be removed. See our installation video. Our super heavy duty aluminum fender is 1/8″ thick. 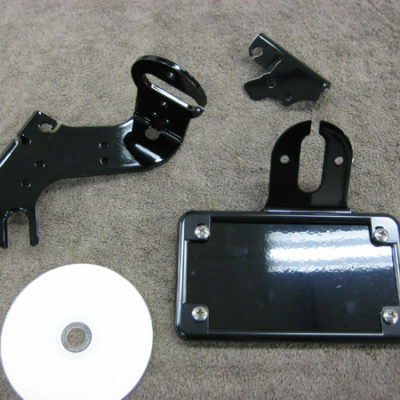 To top it off we include steel reinforcement straps for all mounting areas. Order either the grey powder coated primer finish, bare aluminum with a clear anodized finish, or gloss black powder coated (additional $20). 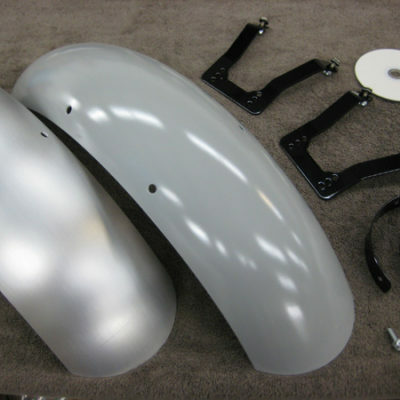 If you are painting your fender the primed surface is best since it is ready to lightly sand and paint. If you want the aluminum metal look, the bare fender would be the way to go. The anodized finish is very durable, but we don’t recommend it for polish or paint. videos to choose from. 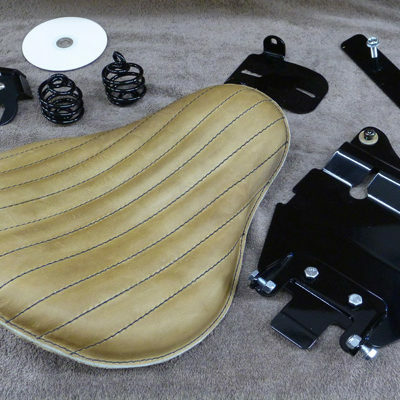 Everything bolts into place with no cutting or welding required. er is 1/8″ thick. To top it off we include steel reinforcement straps for all mounting areas. Order either the grey powder coated primer finish, bare aluminum with a clear anodized finish, or gloss black powder coated (additional $20). If you are painting your fender the primed surface is best since it is ready to lightly sand and paint. If you want the aluminum metal look, the bare fender would be the way to go. The anodized finish is very durable, but we don’t recommend it for polish or paint.